After Pacquiao was insulted on Bob Arum's offer. 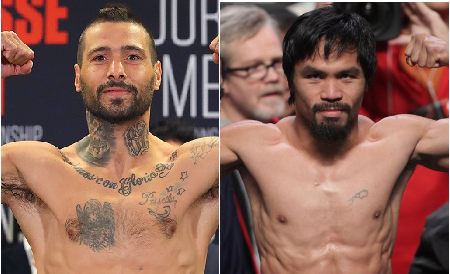 The Senator is now working with the Golden boy Promotion to finalize his fight against the Argentinian Brawler Lucas Matthysse on June 24th to be held in Malaysia. Both fighters showed interest in the fight and the deal is nearly done and the 39 years old Filipino will comeback after almost 1 year layoff. Pacquiao said that he is the underdog in this fight against the WBA Welterweight champion and he said that he will work hard for this fight. Buboy also said this is an exciting match because both fighters are very aggressive and this is the fight the fans should watch.